DESCRIPTION: A hand knit, felted and needle felted wool purse. The art work is created by me with one or two needles--not a machine, which provides me with the ability to create a 3 D effect. 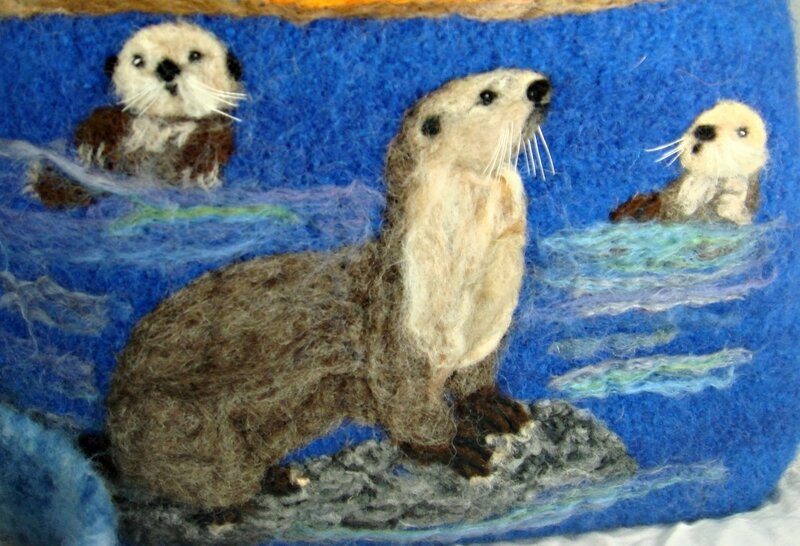 Felted Otter purse. Adorable otters in the water wanting to play at sunset. 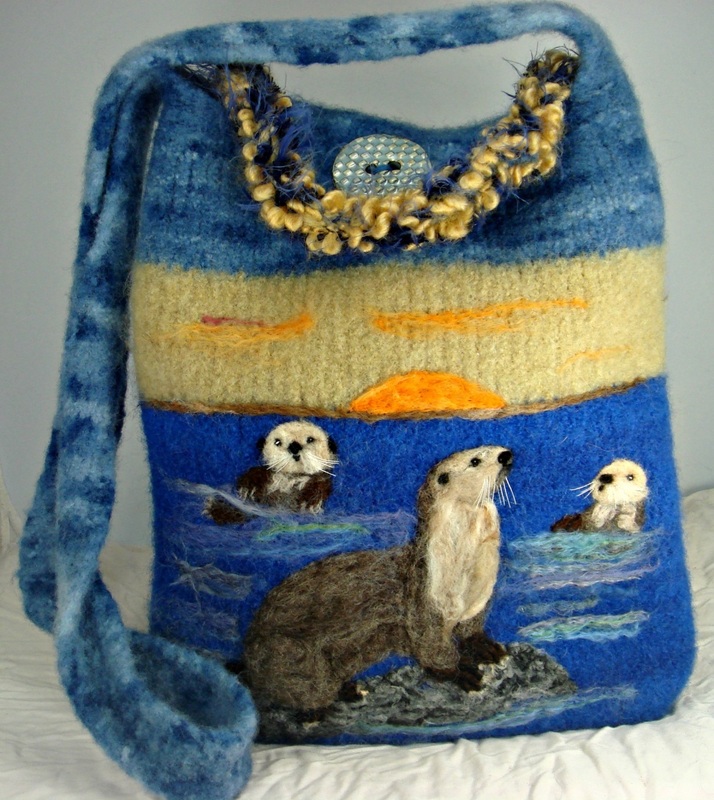 The colors of this hand knit and felted bag are gorgeous! Bright blue, yellow sky with an orange sunset. The bag has an inside pocket and closes with a ceramic button. The measurements are: 11" wide by 12" high by 2.5" deep. The firm wide strap has a 22" drop.